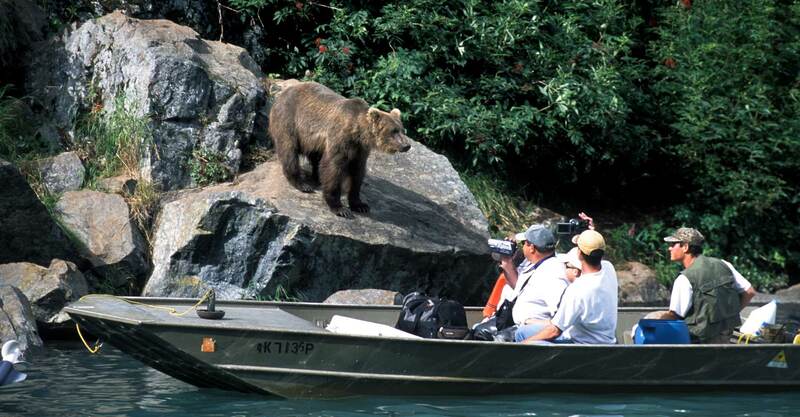 Alaska Fishing and Lodging offers way more than just fishing trips. 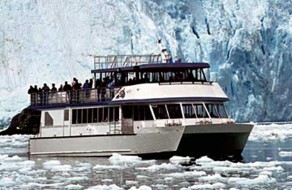 We have decades of experience helping our guests create complete Alaska tour packages for a vacation of a lifetime. We provide fishing, lodging, and Alaska adventure tour packages which helps our guests cover all the bases with a single phone call. These are some of our most popular Alaska tour package inclusions. Call for details and prices. 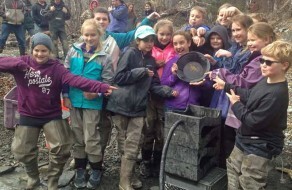 These trips are a full day of adventure prospecting and panning for gold up at one of our active gold claims. We will teach you proper techniques for gold panning, how to use modern gold finding techniques, and other interesting and helpful information for gold prospecting. The best part is all of our guests get to keep all the gold they find! 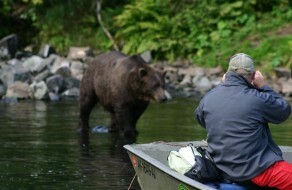 Alaska bear viewing tours one of the most popular activities that our guests enjoy every summer. These tours begin with an amazing scenic journey across beautiful Cook Inlet by boat or small plane. Along the way you can see active volcanos, whales, sea life and of course, majestic Alaska brown bears. Our guests often see 12-24 brown bears a per day in their natural pristine habitat. Experienced bear guides will take you up close to the bears and provide you with once in a lifetime video and photo opportunities. Explore the pristine waters of Prince William Sound from and see towering glaciers, abundant marine wildlife, and mind blowing scenery. This area supports large populations of Steller sea lions, sea otters, Dall’s porpoises, mountain goats, bald eagles, puffins, and a wide variety of seabirds. You’ll opportunities to see several species of whales including humpback whales, orca whales, gray whales, fin whales, and minke whales. Tours begin in the beautiful port town of Seward Alaska nestled at the edge of Resurrection Bay. 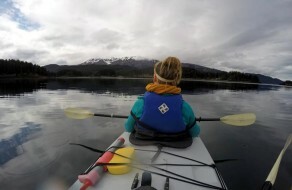 Experience a Kayak tour of the beautiful waters of Katchamak Bay starting in Homer Alaska. Katchamak Bay is surrounded by towering mountains and glaciers and is filled with wild life such as see sea otters, whales, glaciers, and all kinds of other sea birds and animals. Trips are limited to small groups so the tour guides can give you personalized instruction on paddling and narration along the way. 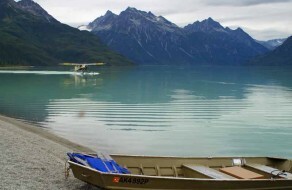 Travel by small plane on a short 25 minute flight across Cook Inlet for an epic Alaska experience! You will find yourself off the road system in remote, pristine wilderness and you’ll enjoy amazing fishing and bear viewing opportunities. The flight alone to and from these locations is epic with views of majestic active volcanos, Cook Inlet, animals, and wilderness. Call today and lets talk Alaska fishing, lodging, and tour packages!